The Armored Group (TAG), a worldwide provider of armored and highly specialized vehicles, announced they are celebrating their 25th anniversary this month. 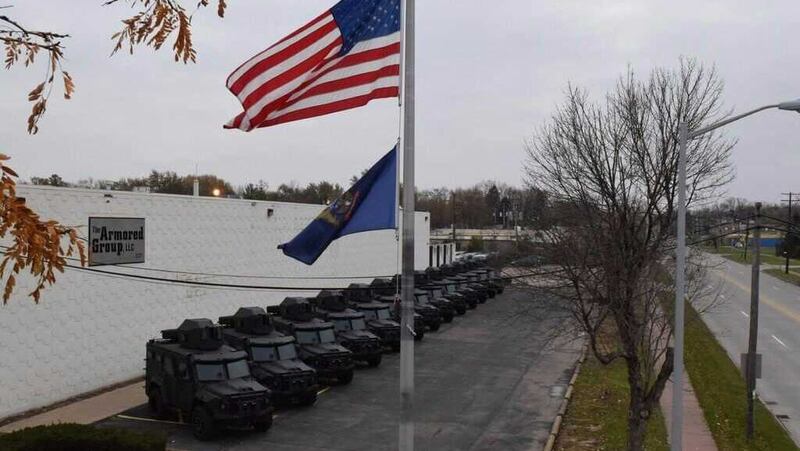 Starting as a cash-in-transit (CIT) business in 1992, the company has expanded to include armored vehicles used by law enforcement, SWAT, police, tactical and individuals needing the highest level of personal protection. Today, the company is one of the largest full-line commercial armored vehicles suppliers with manufacturing facilities in the U.S., Canada, Dubai, India and now in Germany with their recent acquisition of JPA Armoring & Fahrzeugbau Stadthagen GmBH. “Over the last 25 years, we have seen The Armored Group grow from a company in a niche market, cash-in-transit vehicles, to a leading manufacturer of armored and non-armored vehicles around the world,” said Robert Pazderka, founder and president of The Armored Group. In the last five years especially, TAG has experienced impressive growth. We have a talented management, manufacturing and sales team in place that design, manufacture and deliver state-of-the-art vehicles based on clients operational needs. Today, The Armored Group, LLC has grown to become one of the largest full-line commercial armored truck suppliers in the country, and continues to set the standard for customization, reliability and protection.